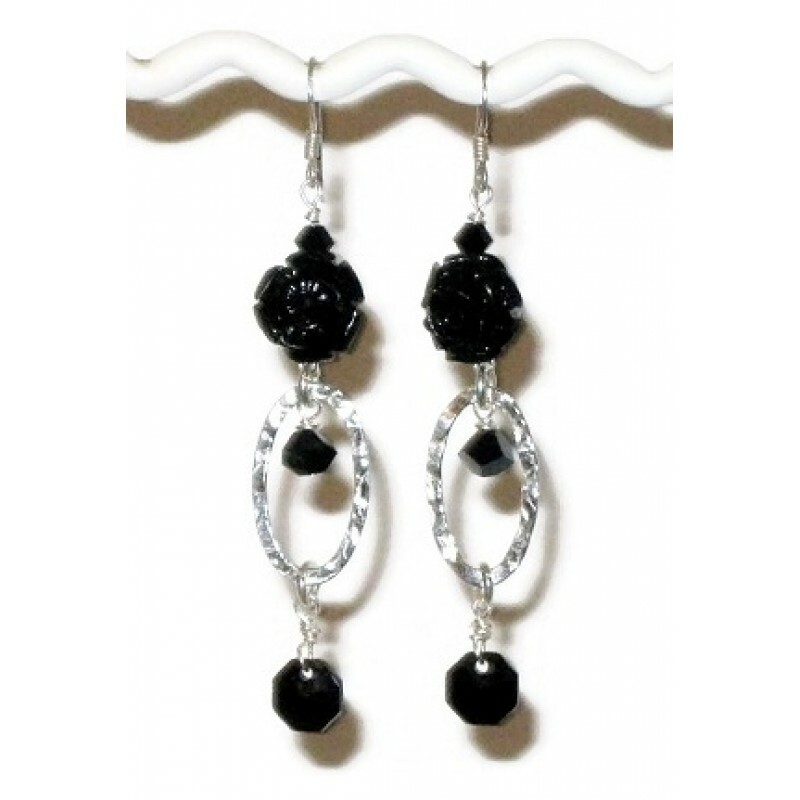 Accentuate whatever outfit you have with these unique black flower earrings. The sterling silver components are accented with carved semi-precious flower beads and Swarovski crystals. The entire length of the earrings, including the sterling silver earwires is approximately 2 3/4. This black onyx bracelet measures 8-3/4 inches with its silvertone lobster claw clasp, and it will m.. This necklace is will add glamour to any outfit you wear it with. It has a faceted briolette p.. This ring features a carved semi-precious flower that is wrapped in non-tarnish silvertone fin..